Short version. Boston airport is a mess. Missed first plane. Second plane was four hours late. Finally made it to the dock a bit after midnight. 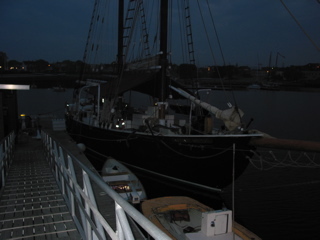 Didn't want to wake others, curled up on the deck of the Bowditch.